PART NUMBER VALEO 348010. RENAULT SCÉNIC I MPV (JA0/1_, FA0_) 1.6 BiFuel (JA04). Fuel Type:Petrol. FOR PEUGEOT 406. This is an original quality part manufactured by Valeo. Number Of Bores:4. Vehicle compatibility. Long Version:Long Version. FOR PEUGEOT 807. Fuel Type:Petrol. This is an original quality part manufactured by Valeo. Number Of Bores:4. Vehicle compatibility. Long Version:Long Version. Fuel Type:Petrol. FOR PEUGEOT 306. This is an original quality part manufactured by Valeo. Part specifications. Number of connectors:2. Vehicle compatibility. Number Of Bores:1. Fuel Type:Petrol. FOR PEUGEOT 406. This is an original quality part manufactured by Valeo. Number Of Bores:4. Vehicle compatibility. Fuel Type:Petrol. FOR PEUGEOT 106. This is an original quality part manufactured by Valeo. Number of connectors:2. Vehicle compatibility. Number Of Bores:1. FOR CITROEN C4 I. Fuel Type:Petrol. This is an original quality part manufactured by Valeo. Number Of Bores:4. Vehicle compatibility. Long Version:Long Version. FOR CITROEN C8. Fuel Type:Petrol. This is an original quality part manufactured by Valeo. Number Of Bores:4. Vehicle compatibility. Long Version:Long Version. FOR CITROEN SYNERGIE. Fuel Type:Petrol. This is an original quality part manufactured by Valeo. Number Of Bores:4. Vehicle compatibility. Long Version:Long Version. Multiple choices exist for:CITROEN C2 1.4 Injector. FOR CITROEN C2. Fuel Type:Petrol. This is an original quality part manufactured by Valeo. Short Version:Short Version. Resistance:12,25. FOR CITROEN SAXO. Fuel Type:Petrol. This is an original quality part manufactured by Valeo. Number of connectors:2. Vehicle compatibility. Number Of Bores:1. FOR CITROEN C5. Fuel Type:Petrol. This is an original quality part manufactured by Valeo. Number Of Bores:4. Vehicle compatibility. Long Version:Long Version. Multiple choices exist for:CITROEN C3 1.4 Injector. FOR CITROEN C3 I. Fuel Type:Petrol. This is an original quality part manufactured by Valeo. Length [mm]:59,6. Vehicle compatibility. Q17277Q, Q23183Q, Q122488Q. FOR CITROEN C3 I. Fuel Type:Petrol. This is an original quality part manufactured by Valeo. Number of connectors:2. Vehicle compatibility. Number Of Bores:4. FOR PEUGEOT 806. Fuel Type:Petrol. This is an original quality part manufactured by Valeo. Number Of Bores:4. Vehicle compatibility. Long Version:Long Version. Multiple choices exist for:CITROEN C3 1.4 Injector. FOR CITROEN C3 I. Fuel Type:Petrol. This is an original quality part manufactured by Valeo. Short Version:Short Version. Resistance:12,25. FOR CITROEN XSARA. Fuel Type:Petrol. This is an original quality part manufactured by Valeo. Number of connectors:2. Vehicle compatibility. Number Of Bores:1. FOR CITROEN XSARA PICASSO. Fuel Type:Petrol. This is an original quality part manufactured by Valeo. Number Of Bores:4. Vehicle compatibility. Long Version:Long Version. Fuel Type:Petrol. FOR PEUGEOT 607. This is an original quality part manufactured by Valeo. Number Of Bores:4. Vehicle compatibility. Long Version:Long Version. FOR CITROEN C3 II. Fuel Type:Petrol. This is an original quality part manufactured by Valeo. Number of connectors:2. Vehicle compatibility. Number Of Bores:4. FOR CITROEN XSARA. Fuel Type:Petrol. This is an original quality part manufactured by Valeo. Number Of Bores:4. Vehicle compatibility. Long Version:Long Version. FOR CITROEN C2. Fuel Type:Petrol. This is an original quality part manufactured by Valeo. Number of connectors:2. Vehicle compatibility. Number Of Bores:4. Fuel Type:Petrol. FOR PEUGEOT 307. This is an original quality part manufactured by Valeo. Number of connectors:2. Vehicle compatibility. Number Of Bores:1. Fuel Type:Petrol. FOR PEUGEOT PARTNER I. This is an original quality part manufactured by Valeo. Number of connectors:2. Vehicle compatibility. FOR CITROEN NEMO. Fuel Type:Petrol. This is an original quality part manufactured by Valeo. Number of connectors:2. Vehicle compatibility. Number Of Bores:4. FOR PEUGEOT 1007. Fuel Type:Petrol. This is an original quality part manufactured by Valeo. Length [mm]:59,6. Vehicle compatibility. Number Of Bores:4. FOR PEUGEOT BIPPER. Fuel Type:Petrol. This is an original quality part manufactured by Valeo. Number of connectors:2. Vehicle compatibility. Number Of Bores:4. Fuel Type:Petrol. FOR PEUGEOT 206. This is an original quality part manufactured by Valeo. Number Of Bores:4. Vehicle compatibility. Long Version:Long Version. Fuel Type:Petrol. FOR PEUGEOT EXPERT I. This is an original quality part manufactured by Valeo. Number Of Bores:4. Vehicle compatibility. Long Version:Long Version. Fuel Type:Petrol. Multiple choices exist for:PEUGEOT 206 1.4 Injector. FOR PEUGEOT 206. This is an original quality part manufactured by Valeo. Vehicle compatibility. Q9466Q, Q16675Q. Short Version:Short Version. Multiple choices exist for:CITROEN BERLINGO 1.4 Injector. FOR CITROEN BERLINGO I. Fuel Type:Petrol. This is an original quality part manufactured by Valeo. Vehicle compatibility. Q5595Q, Q5719Q. Short Version:Short Version. Fuel Type:Petrol. FOR PEUGEOT 307. This is an original quality part manufactured by Valeo. Number Of Bores:4. Vehicle compatibility. Long Version:Long Version. Fuel Type:Petrol. Multiple choices exist for:PEUGEOT 206 1.4 Injector. FOR PEUGEOT 206. This is an original quality part manufactured by Valeo. Length [mm]:59,6. Vehicle compatibility. Q9466Q, Q16675Q, Q19879Q. Fuel Type:Petrol. FOR PEUGEOT 206 . This is an original quality part manufactured by Valeo. Number of connectors:2. Vehicle compatibility. Number Of Bores:4. Fuel Type:Petrol. FOR PEUGEOT 207. This is an original quality part manufactured by Valeo. Number of connectors:2. Vehicle compatibility. Number Of Bores:4. Multiple choices exist for:CITROEN BERLINGO 1.4 Injector. FOR CITROEN BERLINGO I. Fuel Type:Petrol. This is an original quality part manufactured by Valeo. Length [mm]:59,6. Short Version:Short Version. FOR CITROEN DISPATCH I. Fuel Type:Petrol. This is an original quality part manufactured by Valeo. Number Of Bores:4. Vehicle compatibility. Long Version:Long Version. Fuel Type:Petrol. FOR PEUGEOT 407. This is an original quality part manufactured by Valeo. Number Of Bores:4. Vehicle compatibility. Injector fits CITROEN C8 MPV - 02> - 348005. 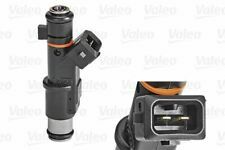 Injector fits CITROEN C5 Hatchback - 01>05 - 348006. Injector fits CITROEN C3 Hatchback - 09> - 348002. 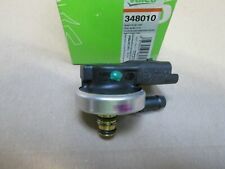 Injector fits PEUGEOT 407 Estate - 04> - 348004. Injector gasoline PSA fits CITROEN C3 Convertible - 03> - 348001. Injector fits PEUGEOT 406 Saloon - 95>05 - 348005.